Liberal America and Death of the Tiger Mom? You know America is headed for destruction when ASIANS start complaining! A Portland, Oregon woman is claiming that the stress of living as an Asian-American in white neighborhoods has made her sick. 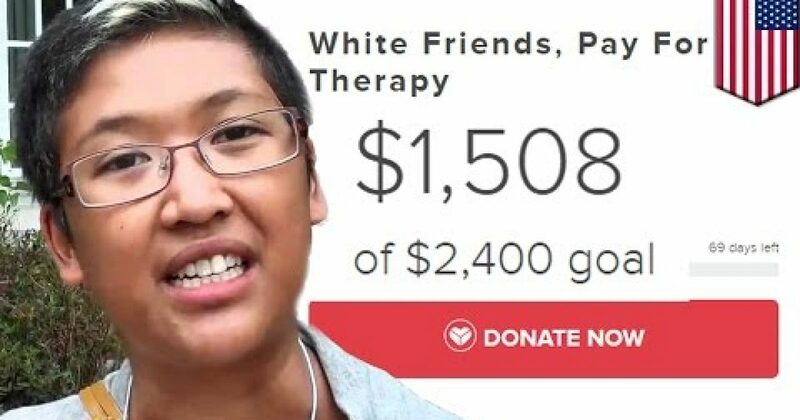 She is reaching out to whites to help pay for her therapy. “An Oregon woman has raised nearly $1,500 to pay for illnesses she claims were brought on by being an Asian-American living in a predominantly white city. ‘I grew up in and live in the [Portland] area. The stress of living as a Thai-Cambodian woman in such a white city replete with constant interpersonal and institutional racism has a big toll on my health and well being,’ according to the YouCaring posting by Rinna Rem. Rem claims to be 29 and suffering from depression and the connective-tissue disorder Marfan syndrome. From Sept. 10 through Tuesday, she had raised $1,495. The good news is that woman will likely turn that $1500 into a multi-national import/export business within a year!